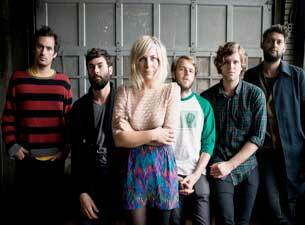 The Head and the Heart is a folk band which formed in 2009 in Seattle, Washington, United States. The band consists of Josiah Johnson (vocals, guitar), Jonathan Russell (vocals, guitar), Charity Rose Thielen (violin, vocals), Chris Zasche (bass), Kenny Hensley (keyboards) and Tyler Williams (drums). Composed primarily of transplants to the Seattle area, The Head and the Heart write and play songs that speak to the newness of a fresh start, of the ghosts left behind, of moving forward, all brimming with a soulfulness and hope for a better life than the one we’ve all been sold. Read more about The Head And The Heart on Last.fm. Here are some industry leading presale databases we recommend you use if you're in need of a The Head and the Heart presale password to buy early tickets to see The Head and the Heart performing live. Getting your tickets early is a great way to get great seating and secure your tickets before they sell out during the public onsale.